This past July saw Justo Pino Torres join Professional Hunter, Gary Phillips, on Safari in the Eastern Cape, RSA. 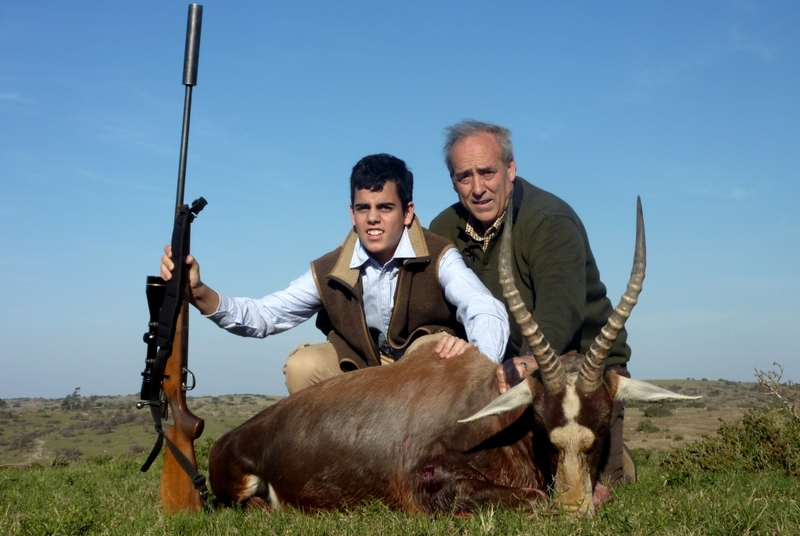 Justo first started hunting with us during the mid nineties and over the years have brought along family and friends to join him and good friend, Javier Iniguez, on their hunts to John X Safaris. 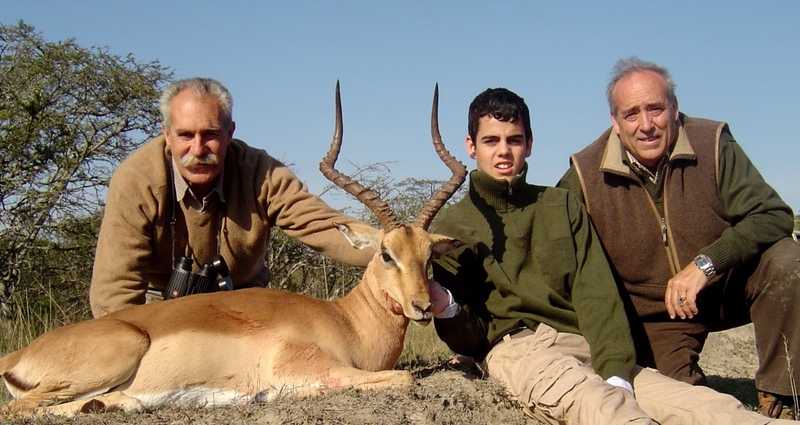 This season proved no different with Justo inviting his grandson, Alejandro, on his first African Safari. Justo was one of our lucky hunters who booked 1 of our 2 Lioness’s on quota this season. Having hunted every other available species in the Eastern Cape, a Lioness would be Justo’s primary trophy. For Alejandro it was all together a different story, it can become very complicated when one has such a big variety of Plains Game and so little time. The guys started their hunt in the South, from our Coastal area. 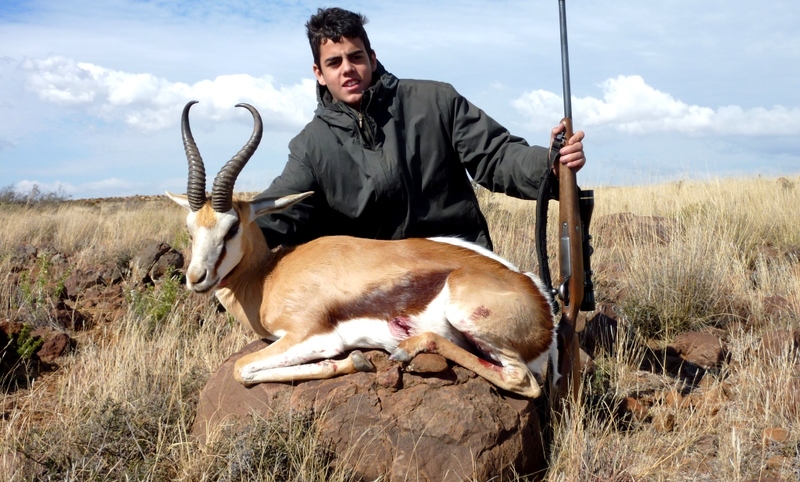 Alejandro bagging this super Blesbuck - His first African Species. Having looked for Lions all morning and Alejandro enjoying his first success, the hunters came upon some tracks late afternoon on the first day. A decision was made that it was too late in the afternoon to pursue the cats and that an early morning start would be the wisest approach. Day two saw the hunters rise to wet and windy conditions. Not a good start. The tracks from the night before had been washed away and the Lions by now were bedded up and sheltering from the storm. Never the less, the hunters knew the minute the storm broke, the cats would be out first. When the weather finally cleared for a short period during mid afternoon, the hunters took their only opportunity. Justo pulled off a brilliant shot and with Javier's assistance and quick thinking, stopped a potentially dangerous situation with the rest of the pride. After all the excitement of the hunt - A relieved team of hunters with a monster lioness - Javier, Justo, Alejandro and Gary. 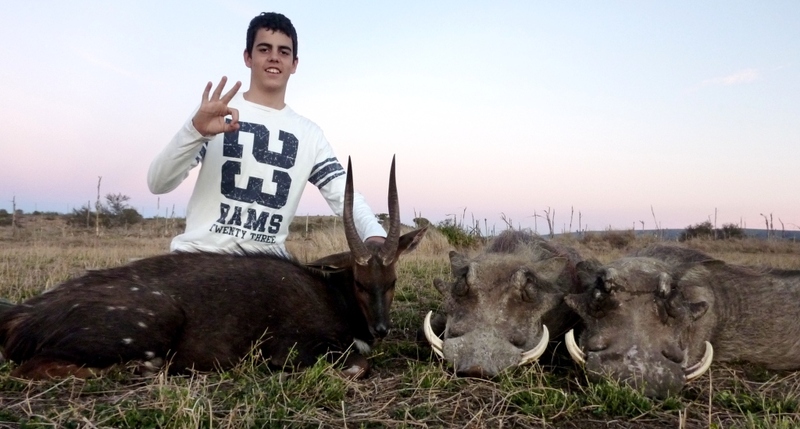 Granpa & Grandson sharing special times on safari... Alejandro's biggest Species while on safari - Cape Hartebeest. Alejandro's beauty of an Impala. Having Javier along is always a privilege. With so much experience and patience, there's not much more a young hunter can ask for. Alejandro really getting into the swing of things! Enjoying the Karoo... A fantastic Springbuck. While Alejandro may have been stealing most of the limelight, Justo wasnt going to be left behind in enjoying every minute of his hunt. 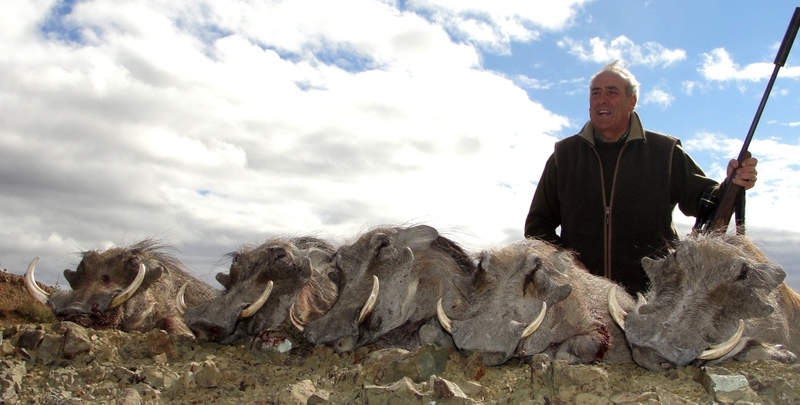 Afterall he was on safari with his grandson, he had hunted his first Lion, spent ten days with some of his best friends and watched his beloved Spanish win the FIFA Soccer World Cup.